Will the Allegheny County Airport Authority learn from its embarrassing 2018 failures to command the air-services marketplace at Pittsburgh International Airport (PIT)? Or will past be prologue in 2019? Those are among the serious questions posed by Frank Gamrat, the executive director of the Allegheny Institute for Public Policy, as the folly of the authority’s much-touted subsidies to a number of carriers has been laid bare. “Propping up business enterprises with public funds is not only a high-risk practice but it represents interference in the marketplace and begets ever more subsidies, undermining the role of markets,” the Ph.D. economist says (in Policy Brief Vol. 18, No. 44). The Airport Authority has been rocked in 2018 by at least four prominent failures that can be directly linked to the granting of dubious public subsidies. The authority is suing OneJet in an attempt to recoup the balance of its part of a loan package. But given the airline that catered to business travelers no longer is flying, that could be like attempting to squeeze money out of a turnip. Then there’s the Qatar Airways debacle in which, by contract, the Airport Authority incentivized the international cargo carrier to fail. And fail it did, allowing it to garner a $1.48 million payday from the public kitty. And there are hints that the authority might be willing to discuss a new “deal”? Delta Air Lines’ suspension of what morphed into seasonal flights to Paris cannot be forgotten. 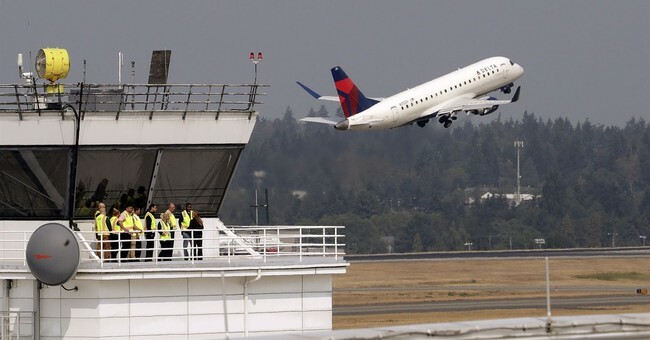 When “private” subsidies from the Allegheny Conference of Community Development dried up, Delta reduced its flight schedule. And when $3 million in public subsidies were handed out to British Airways to fly direct to London, Delta pulled out completely. The irony of one formerly subsidized airline bolting at the prospect of a newly subsidized competitor is as rich as it is tragic. Then there’s WOW Air, recipient of $800,000 public subsidies over two years to fly between PIT and Iceland, supposedly as a gateway to Europe. More appropriately characterized, WOW is at a dead stop on the tarmacs of most of the airports that it fleeced. And as with OneJet, the WOW mess begs the question of what kind of due diligence the Airport Authority performed before granting such questionable subsidies. Surely, and in the least, it’s past time for the authority board to review its decision that gave CEO Christina Cassotis plenary power to grant airlines public dollars. Adding flights to meet demand is one thing, a market-based thing; the effort by Airport Authority officials to artificially create travel to certain destinations by underwriting the cost of the fares “is especially egregious,” Gamrat says. “It is folly on its face. Because to be truly successful in terms of sustaining adequate passenger loads for flights, the subsidies would have to go on forever given the real underlying demand is not there. “Perhaps the Airport Authority will learn a valuable lesson from 2018’s embarrassing failures and all the money that it has wasted,” Gamrat concludes. But that’s difficult to imagine considering all the spinning and rationalizations proffered by county and airport officials -- denials of reality that only seem to grow with each successive, and easily predictable, failure.